George Gordon Developments Ltd. | N8’s RTMs & Construction Inc.
About N8’s RTMs & Construction Inc.
N8’s RTMs & Construction Inc. (N8’s RTMs) is a First Nation owned construction and carpentry company focussed on being a leader in meeting the housing market needs of Aboriginal communities across the three prairie provinces (Saskatchewan, Manitoba and Alberta). The Owner/Operator is Nathan Bitternose who has a wealth of knowledge and experience in this market. 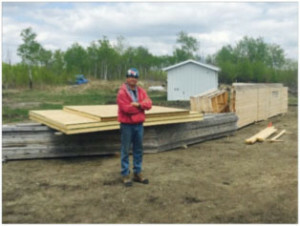 Nathan is a Journeyperson in the construction industry with over 20+ years experience in new construction and renovations, as well as having achieved his Red Seal in Carpentry. The First Nations demographic now represents approximately 19% of the Saskatchewan population. As well, a small majority of First Nation families live on-reserve. However, a key challenge of a number of communities is the ability to respond with new and cost-competitive housing for their members. As well, addressing this issue in a timely manner is further complicated by delays during the construction caused by labour availability, qualified employees and often short building seasons. 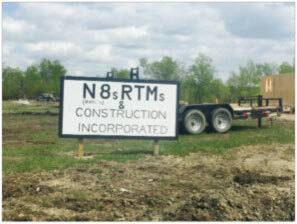 A key differential for N8’s RTMs housing construction company is its RTM business model. The Ready-to-Move (RTM) approach to meeting housing needs is the most innovative, quality controlled, responsive and cost-effective approach for housing construction. As well, as a First Nations-owned and managed company (that employs First Nation members and students), this business model will be very well received by all 74 First Nations bands plus Tribal Councils in Saskatchewan (not to mention 140 in Alberta and 63 in Manitoba). In addition to the business model, N8’s RTMs has also developed a unique community opportunity. Through a partnership with the Horizon School Division #205, N8’s RTMs will be able to offer training for First Nations high school students interested in developing a career in the trades. N8’s RTMs currently offers a range of housing packages and design options upon the needs and living specifications of each customer. As well, all units are built to be turn-key in nature, including electrical, plumbing and finishing. This RTM business model and quality provides the owner a shorter “move-in-ready” time period. There is a base model, plus design adaptions available depending upon the square footage needs and style of the consumer. The ability to provide different designs and housing preferences (e.g. in-house cabinet modifications; additional bed rooms; garage packages, etc.) provides the homeowner an ability to create a more unique housing experience. The main factors in building an RTM versus an on-site build is time savings, and cost control. Building an RTM saves you time as your foundation contractor can start your foundations while your home is being constructed in our yard. Typical on site builds can take up to 12 months to complete, whereas if all of your post move work is coordinated, you can in your new RTM home in about 6 months. Another major factor is cost control. While many of our homes are moved into rural areas the cost of sending contractors to your location each day outweighs the cost of moving your home once. With eliminating mileage and freights costs for all materials buyers can save anywhere from 5% to 20% on the overall cost of their new home. It should be further noted that all designs used by N8’s RTMs have received architectural certification. As well, the company strongly adheres to all industry building standards and required codes. In fact, upon completion, all structures receive an official Building Inspection review.